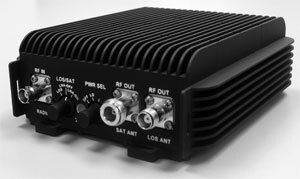 After many months of analysis and testing the Navy Surface Warfare Center (NSWC) has chosen AR Modular RF's AR-50 tactical communications amplifier for use in a major vehicle mounted program along with the Harris PRC-117G radios. The "Battle Tested" AR-50which was previously JITC certified for the Raytheon PSC-5D radio and has recently been re-certified for use with the Harris PRC- 117G. NSWC purchased all of the amplifiers through the General Services Administration Website (GSA Contract #GS-07F-0371U).